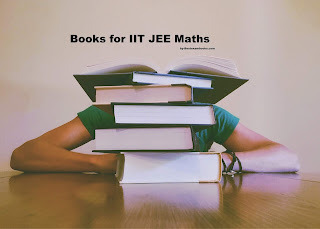 JEE Maths-> As we started off our coverage of best books for jee with physics, now we will cover Best Books for IIT JEE Maths in the second part of series. Many students have a myth that JEE maths doesn’t involve theoretical details, the only problem-solving. This disbelief actually proves to be disastrous as jee usually asks questions based on commonly ignored mathematical concepts. So it is better to use the best books for JEE maths to clarify your concepts and practice immensely to gain mastery of learned concepts. Here, I have mentioned a grading system (marks out of 10) similar to what we did in JEE physics section, on the basis of difficulty and the order of books mentioned is from beginner’s level to masters! Unlike physics, we will first cover individual portions of jee maths and then mention books that cover the entire syllabus of jee maths mains and advanced both. This book of JEE maths is a classical gem that is basically meant to give you a start in algebra. Elegantly covers the theory necessary for jee algebra with questions to clear fundamentals. The questions are of the subjective pattern from which many aspirants run away considering it unnecessary but the true elegance of math lies in proofs and subjective questions. After going through the theory-practice the questions given to consolidating learned concepts. Some topics like continued fractions are out of syllabus and may be omitted. Matrices are not covered in the book though determinants are there. Also permutations and combinations, complex numbers is bit light as compared to depth jee asks. However, topics like probability, binomial theorem, sequences and series (including exponential and logarithmic) and theory of equations (including quadratic) are very elaborate and cover each aspect of jee syllabus. At the end of book miscellaneous questions which provide a rigorous brainstorming. After solving the book fully and religiously (jee syllabus portion) you would be able to do 70-75% of jee mains algebra and 55-60% of jee advanced algebra questions. This book covers all the necessary portion of jee algebra in-depth and provides ample of quality questions which will help you jee. Along with theory there are many in-chapter exercises that will help you consolidate the concepts on the go. After hall and knight, going through this book is must to master jee algebra. At the end of each chapter there is huge question bank of questions asked in jee maths. Questions of each pattern type is covered along with past year questions in archives section. The major plus point of this book is that it fully solved so wherever you get stuck you may refer the solutions which present many conceptual tricks. Solved examples of this book are also very necessary as they give you a detailed and elegant way of solving the tricky jee maths questions. After solving the book fully and religiously you would be able to do 90-95% of jee mains algebra and 80% of jee advanced algebra questions. The all-time favourite trigonometry textbook that provides everything you need in trigonometry, from detailed theory to ample of questions. Just like Hall and knight, this book is a classical gem that never lets its reader down. Moreover these classics are short and cheap but incomparable in content. Cover both the volumes of trigonometry by Sl Loney and you won’t need anything else for jee trigonometry. The miscellaneous questions given at the end of book ( around 250-300) are very tricky and provide all the necessary rigor for jee trigonometry. In-chapter exercises are not that difficult but they help you build speed and strengthen concepts. There are many other books on trigonometry in market as well but they aren’t required as trigonometry doesn’t require extra effort but only strong grasp which this book strongly provides. After solving the book fully and religiously ( jee syllabus portion) you would be able to do 90-95% of jee mains algebra and 80% of jee advanced algebra questions(only if you do miscellaneous questions). You can take your book from the given link. This book of JEE maths is one stop solution for thorough learning of wide theory of jee co-ordinate geometry. This book covers all portions of jee syllabus with proofs for all major formulas and some minor results via examples. Many vital corollaries and interrelations are frequently given in theory. Though co-ordinate geometry is like inorganic of maths but after understanding the proofs and elegant crossovers in proofs, you won’t have to cram too much. There are in-chapter exercises after every major portion so as to cement the concepts in your mind. There are some really tricky solved examples (around 20-30) at the end of each chapter which use multiple concepts simultaneously and force the reader to get involved actively. At the end of chapter there are many unsolved questions of each type as per jee maths pattern along with subjective questions and evergreen proof questions! After solving the book fully and religiously you would be able to do almost all of jee mains co-ordinate geometry (unless you do some serious calculation silly mistake) and 85-90%% of jee advanced co-ordinate geometry questions. This book is relatively an uncommon name in jee maths market but unlike others, this is the most valuable gem you can ever find. The calculus portion of this book is not one of the best but truly the best at jee maths level. This book teaches you concepts deeply in an unconventional way and if you end up grasping all of it, your grasp on theoretical aspects of calculus will certainly surpass that of your peers. Many theorems and results that are taken for granted by other authors are focused in this book. At the end of each chapter, there are around 30-50 unsolved questions per chapter which provide a thorough practice conceptually even if not rigorous practice to develop speed. You develop intellect in calculus as it is not about formula but about concepts. Basic NCERT level knowledge is prerequisite to start this book and then if you devote time and attention to this gem in calculus portion, you will be handsomely rewarded in JEE maths paper. After setting the tune for theoretical and conceptual aspects, the iron is hot and the time is ideal to strike on it and give it a shape of a weapon. It is time to do a rigorous practice of calculus questions of jee pattern starting from solved examples and ending with previous year jee maths questions. In between you will cover around 200-300 unsolved question per chapter which provide more than practice of both abundance and difficulty, honing your speed and perfecting your concepts. The combination of kd joshi’s book and Cengage is killer combination for jee calculus! The calculus problems in jee are many a times twisted and language somewhat typical so you should be able to do 85-90% jee mains calculus questions and 80% jee advanced questions. This book is more than enough for learning theory of these two chapters and practising questions. Vectors and 3-D require more effort more from reader side as they require visualization and vivid imagination. So doing this single book along with your own thinking skill you will be able to jee level questions in maths without much effort. After sincerely covering this book you will be able to 90% of jee mains and 80-85% jee advanced questions of vectors and 3-D geometry. Start your preparation with above-given books. We will come with more books very soon. Don’t forget to read given links about-> JEE physics books and IIT Chemistry Books. If you are appearing in KVPY in class 11, also read about NEET Biology Books. Bookmark the page to stay tuned for more on JEE maths. If you like it, share it on Facebook. 'Sharing is Daring' because average people hide success mantras. If any good book for IIT JEE Maths is missing from my end, please share in the comment section. 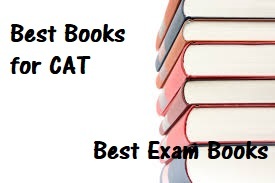 Page covers best books for CAT Preparation based on latest CAT Syllabus 2019 for CAT 2019. Scroll down to get all information related Notification of CAT exam Form as Registration starts from 2nd week of September 2018. Remaining IIMs are not having an authority of conducting CAT exam. IIMs conduct these exams with the TCS as a testing partner. Note: Names are not in any specific sequence. In CAT exam, more than 2 lakh candidates appear every year and trend will not go down in CAT 2018 also. CAT syllabus is not fixed and you should prepare for topics which have been a part of the exam over the last few years. Given list is a compilation of those topics that were asked in the last few years. They all together complies CAT Syllabus. Link to download pdf is given below. Case lets which can combine charts of two or more types linked to each other. Logical Sequence; Logical Matching; Logical Connectives. Reading Comprehension: It covers maximum questions. Paragraph Summary: Practice it well as its weightage is increasing every year. Para-jumbles & Misfit Sentences: Its regular feature of the CAT exam. Vocabulary Based Questions: Synonym-Antonym, Cloze Passage, Analogies or Reverse Analogies, Idioms, and Phrases, Secondary Shades of Meaning, Associated words, etc. "How to prepare for Quantitative Aptitude for the CAT by Arun Sharma"
If you would ask for a recommendation from any professor or Toppers or CAT aspirant; he would suggest this book for Quantitative Aptitude for CAT. All important topics are covered very well with great detail. This book is divided into three levels and each chapter is followed by three levels of exercises. If you are taking this book; don’t get stuck with the third level of difficulty as it's not useful for CAT 2018. If you get stuck with any question, just Google that question and you will find discussion & answer. You can also check given three books written by Arun Sharma for CAT preparation. "How to prepare for Data Interpretation for the CAT"
"How to prepare for Logical Reasoning for the CAT"
"How to prepare for Verbal Ability and Reading Comprehension for the CAT"
However, the book for the quantitative technique by TMH is worth buying. "Pearson Guide to Quantitative Aptitude for CAT by Nishit Sinha"
Few people find this book better over Arun Sharma because its collection of questions is comparatively better. But, the book has several typing mistakes. You can select any one book between both. "Quantum CAT by Sarvesh Verma"
This book covers a variety of questions with difficulty level at par with CAT exam. You just need to solve this book without skipping any question as questions are not very hard. They prefer two books of Nishit Sinha for data interpretation and reasoning part. These books will help you to clear your concept and have been designed specifically for these sections. "Pearson Guide to Quantitative Aptitude and Data Intrepretation for CAT by Nishit Sinha"
"Pearson Guide to Verbal Ability and Logical Reasoning for CAT by Nishit Sinha"
"Verbal Ability and Reading Comprehension by Ajay Singh-Arihant Publication"
Take it and follow it properly for Reading Comprehension. It has a large collection of passages to give you practice opportunity. If you don’t believe in doing preparation with guide type book covering all sections of CAT paper and ready to take a separate book for Verbal Ability and Reading Comprehension; you can take it. "Word Power Made Easy by Norman Lewis"
"How to Read Better and Faster by Norman Lewis"
First one is as popular as Bible of Vocabulary and the second one is a collection of passages. No doubt these two books are extremely good. But, I feel you should improve your reading habit with other resources which are more fruitful. You should read several fictions and non-fiction novels in a tight time schedule. Read magazines and newspaper. Read fast and read more. CAT Exam will be online and will run for 3 hours. CAT exam paper will consist of 100 questions divided into 3 sections. Exam date is announced and it is scheduled in last week of November 2018. CAT notification for 2019-20 admission will come in the last week of July 2018. Aspirants can check the online notification or get details via newspapers. Share it with your friends on Facebook to help me to reach more readers. Also share your books for CAT preparation in the comment box.